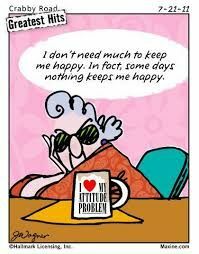 With Maxine's sense of humor, she can't possibly be grouchy all of the time. May we all be surprised by moments of joy, even in our worst crabbiness! I’ll bet that wine would make Maxine happy.